Can you handle all this Persona 5? Atlus shared new video and information on Persona 5 during its Premium Event Niconico live stream today. The opening animation is produced by Production I.G. Atlus premiered the first 18 minutes of the game. Proceed with caution. Seven more Cooperation Characters. As previously detailed, Cooperation Characters are some of the various people that the protagonist and friends will meet, whether in school or in the city, who possess special abilities and skills. Their interests will align with yours, and by building up a relationship of mutual trust, you can establish a cooperative “Co-Op” relationship with them. By deepening your bonds with cooperation characters, you can use their abilities to go about your life as a Phantom Thief more advantageously. A tarot fortune-teller who runs a fortune-telling stand in Shinjuku. She has a bright and cheerful atmosphere about her, but her fortunes always hit the mark. She is rumored to definitely be “a real fortune-teller,” but at the same time apparently recommends these “suspicious stones”…. An elementary school boy who plays at the arcade in Akihabara. He takes pride in his marvelous power in a certain online gun shooting game, and is known as the boy genius player. He seems to long for the “power” of the Phantom Thieves, but what could the reason be? The Mementos Dungeon is an auto-generated infinite dungeon separate from the main game. You’ll explore this dungeon’s vast maps while riding Morgana, who transforms into a bus, and take on free quests. The latest staff interview featuring director Katsura Hashino, character designer Shigenori Soejima, and composer Shoji Meguro. 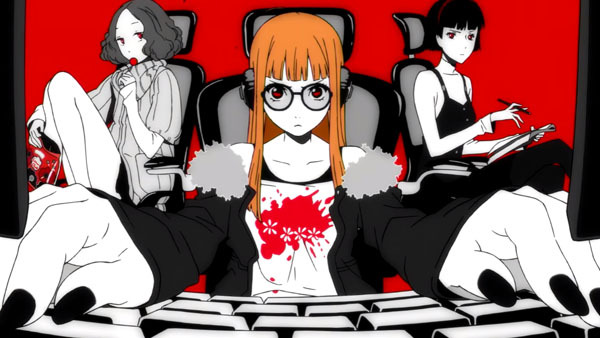 In it, Hashino confirms development on Persona 5 is finally complete. The previously announced Persona 20th Anniversary Festival will run from December 8 to 18 at Arts Chiyoda in Tokyo. Starting July 31, Atlus will begin holding hands-on gameplay events throughout Japan. Persona 5 is due out for PlayStation 4 and PlayStation 3 on September 15 in Japan and on February 14 in the Americas. A European release is also planned via publisher Deep Silver, but a release date has not been announced.